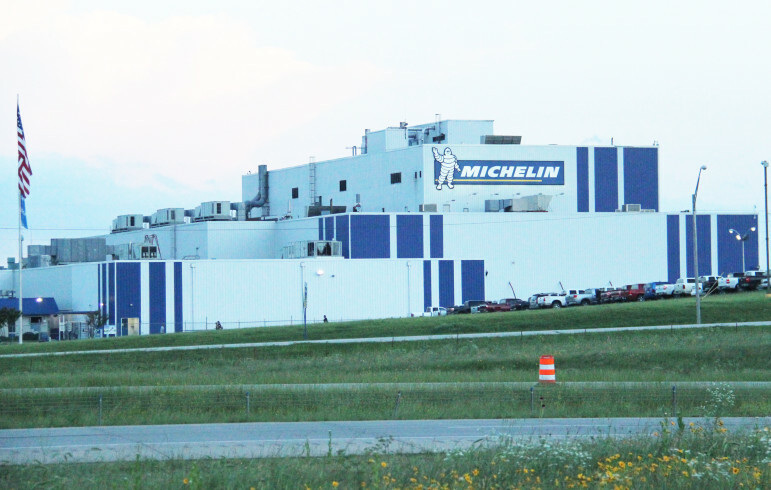 Michelin is receiving $10 million in funding from the Pooled Finance Act program for upgrades and equipment at its tire plant in Ardmore. Hitachi Computer Products in Norman was the first to receive pooled finance assistance. The Commerce Department awarded the operation $15 million. In many cases, they probably don’t even know it. It’s all perfectly legal, and it doesn’t wind up costing employees anything. But the diversions, which involve transfers of state income-tax withholding payments by employees to the companies, are reducing state tax collections at a time when the state faces significant budget constraints. A new law that takes effect next year mandates closer scrutiny of business incentives. The program’s defenders are just as adamant that it has preserved existing jobs and created new ones, in some instances at least. Davis and other program supporters said they couldn’t state with certainty that in each case, the company would not have done the project if the state had not provided the incentive. The withholding diversions were authorized by Oklahoma Community Economic Development Pooled Finance Act of 2009. In 2014 alone, the diversions totaled $11 million. During the program’s first five years, the transfers totaled $30 million. The deals approved so far will eventually reduce state tax collections by $89.2 million, plus interest of about 2 percent in most cases, by the end of financial cycles. That’s if new such programs aren’t added. A few supporters said they believe the program would pay for itself over time by maintaining or increasing employment and creating business for suppliers and communities, thus generating more tax revenue. Program critics, including some economists, said those claims are generally overstated and impossible to prove. “It’s yet another example of how special interests are looting from the taxpayers,” said state Rep. Jason Murphey, R-Guthrie. “This (program) is especially heinous because it’s off the grid and out of sight.” Murphey was one of 14 House members who voted against the program when it was created six years ago. The measure’s principal authors, former Rep. Skye McNiel, R-Bristow, and former Sen. Todd Lamb, R-Edmond, did not respond to requests for comment. Lamb is now Oklahoma’s lieutenant governor. The pooled finance program is less visible to the public than other state business incentives. No state agency announces the projects as they are approved. Each year’s diversions are not listed separately on any state websites. The Oklahoma Commerce Department, which decides which projects will be funded, doesn’t issue an annual report on the program. The Oklahoma Development Finance Authority, which arranges the transactions, doesn’t have a website. Much of the information in this story was obtained through Open Records Act requests. That means the transfers reduce the amount of tax collections available to pay for core programs such as education, health, highways and public safety. The step-by-step mechanics of the program are complicated. With every company except one, the process begins with Commerce Department approval of a company’s application, followed by a cash transfer and debt swap arranged by the Oklahoma Development Finance Authority. The company then begins receiving state income tax withholding payments deducted from its workers’ paychecks. The payments are routed to a state account, and the money is dispersed to the company once a year until the approved maximum plus interest is paid off. The employees don’t necessarily know that the state income tax withholding amount listed on their paychecks actually is being used to pay for a company project. They might think it’s being used to pay for state programs. Goodyear Tire and Rubber Co. was approved to receive $20 million from employee\’s tax payments to expand its Lawton tire plant. The program’s biggest beneficiaries so far are Goodyear Tire and Rubber Co. Inc., which received $20 million to expand its Lawton tire plant, and Hitachi Computer Products (America) Inc., which received $15 million to expand its Norman disk storage unit plant. Hitachi added a 200,000-square-foot warehouse there, and the site now serves as its product distribution center for the United States and other countries. The smallest deal was a $950,000 transaction to help Berry Plastics Corp. buy new machinery and equipment for its plastic container plant in McAlester. Thirteen of the participants are big corporations with out-of-state headquarters. Four firms are Oklahoma-based. Three projects are located in Tulsa, none in Oklahoma City. The rest are scattered across the state. Oklahoma Watch was unable to obtain comments from most companies in the program, despite repeated attempts. Only one, Hitachi, chose to comment, saying the program created jobs. 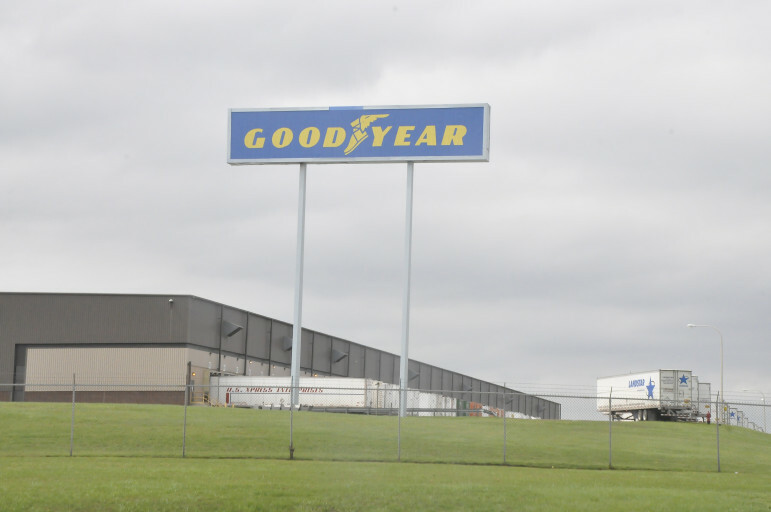 Two media contacts at Goodyear headquarters in Akron, Ohio, responded to initial emails, but did not supply requested information before the story was filed. An official at Orchids Paper Products Co. in Tulsa was unable to locate a top executive to respond to questions about Orchids’ tissue plant expansion in Pryor. Each company estimated it would create at least some new jobs when it applied for funds. Those estimates were a factor in determining how much money each firm got. But the companies were not required to achieve their hiring goals as a condition of receiving the funds. State officials said they “monitored” company employment after the deals were set up, but they don’t compile reports stating how many jobs were created. Documents and data obtained by Oklahoma Watch show that the projects were initially expected to create 1,031 new jobs. If they did so, the program would cost the state about $86,000 for every job created. The state Commerce Department considers other criteria besides projected new employment. The other criteria include capital investment, new job benefits, average wages and a company’s longevity. The department’s application form does not include retention of existing jobs among the stated criteria. But a Commerce spokeswoman said the department might consider that if it was convinced that existing jobs were at risk of being eliminated or transferred out of state. The department said it couldn’t release copies of the companies’ applications, correspondence between the state and the companies, or its own analyses of each project. Three Commerce Department officials, including Director Deby Snodgrass, declined to be interviewed. Gov. Mary Fallin’s office also declined to comment. Oklahoma Watch provided a spreadsheet containing its data research to several departments and agencies involved with the program. None questioned any of the data it included. The Commerce Department said it saw no inaccurate data in the spreadsheet. The first project to receive pooled finance assistance was the Hitachi Computer Products operation in Norman. The deal, approved several months after the law took effect in late 2009, was engineered by Don Wood, executive director of the Norman Economic Development Coalition. Wood said Hitachi was on the verge of shutting down its Norman disk manufacturing plant because it had little warehouse capacity in Norman and had surplus capacity in Indianapolis. After enactment of the Pooled Finance Act, Wood said he worked with Hitachi officials in Norman to put together a proposal that ultimately was approved by Hitachi executives in Japan. The Hitachi deal was unique. Among other things, it was the only pooled finance corporate project that involved the sale of taxable revenue bonds to the investing public. Wood said he couldn’t say whether other pooled finance projects were needed to prevent companies from closing their Oklahoma operations or moving jobs out of state. Gary Riggs, Hitachi’s vice president of human resources and information technology in Norman, said in a phone interview that the project already had led to creation of more than 100 jobs there. “From an employee standpoint, they don’t even know it’s happening,” Riggs said. Pooled finance is one of two Oklahoma business incentives that involve the diversion of employee tax withholding payments back to the companies where the employees work to pay for plant improvements and equipment upgrades. The other is called the Quality Jobs Incentive Leverage program. It is an older program and has been used to finance only two projects totaling $65 million, not including interest. So far, it has diverted $73 million in employee withholding. The Incentive Leverage program is not the same thing as the Quality Jobs Program, which is bigger, more visible and funded differently. Because the Oklahoma Tax Commission still credits the employees with having made their withholding payments, the diversion does not affect the size of their year-end tax payments or refunds. But affected employees are not necessarily told that their withholding payments are being diverted, for periods ranging from four to 15 years, to finance projects at their own firms. Warren Vieth is an Oklahoma Watch staff reporter and Mark Lash is a freelance data researcher. Listen to an “Oklahoma Watch Radio” report on the investigation into a state business incentive that is diverting $89 million from state government to 17 companies.